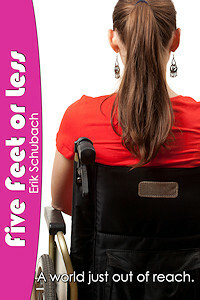 Reese is a programmer and tech geek who was confined to a wheelchair at a young age. Since then she has locked herself away from the outside in her virtual world. Until that is, a chance meeting with an ex-punk rocker girl, Sarah, who teaches her that her world is not defined in five feet or less and the possibilities are endless.